Although advocated for severe varus and valgus deformities, constrained implant designs are associated with a number of disadvantages in total knee arthroplasty (TKA). Combining a minimally invasive surgical approach with an interchangeable posterior stabilized (PS) implant design may allow adequate soft tissue balancing with a minimal amount of constraint and without residual instability. Retrospectively 51 patients operated with the minimally invasive far medial subvastus approach for severe varus or valgus deformity, who underwent primary TKA with a fully interchangeable PS implant (Vanguard, Biomet Inc., Warsaw IN, USA) between 2009 and 2013 were examined. Soft tissue releases was performed using a piecrust needling technique. Preoperative alignment and surgical parameters were collected for all patients. All patients underwent preoperative and follow-up radiographic assessment and completed a battery of clinical assessments. All procedures were performed successfully, with alignment improving from a preoperative mean (SD) varus deformity of 165° (3°) and a mean (SD) valgus deformity of 196° (4.5°) to an overall mean (SD) postoperative mechanical alignment of 179.5° (3.0°). Nine patients had postoperative varus, while three patients had a postoperative valgus deviation from neutral alignment >3°. The mean change in joint line position in extension was −0.0 ± 0.6 mm. Clinical scores at final follow-up were excellent for both groups. 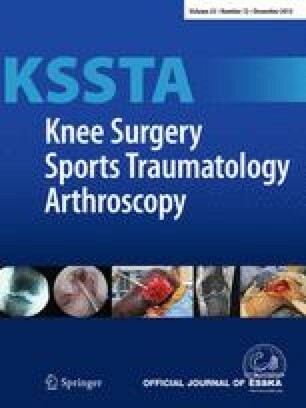 Good TKA outcomes can be achieved in patients with substantial varus or valgus deformities using a combination of a minimally invasive far medial subvastus approach, interchangeable PS implants and soft tissue releases with a piecrust needling technique.